Approaching 50,000 Views, Two Houses Soar! 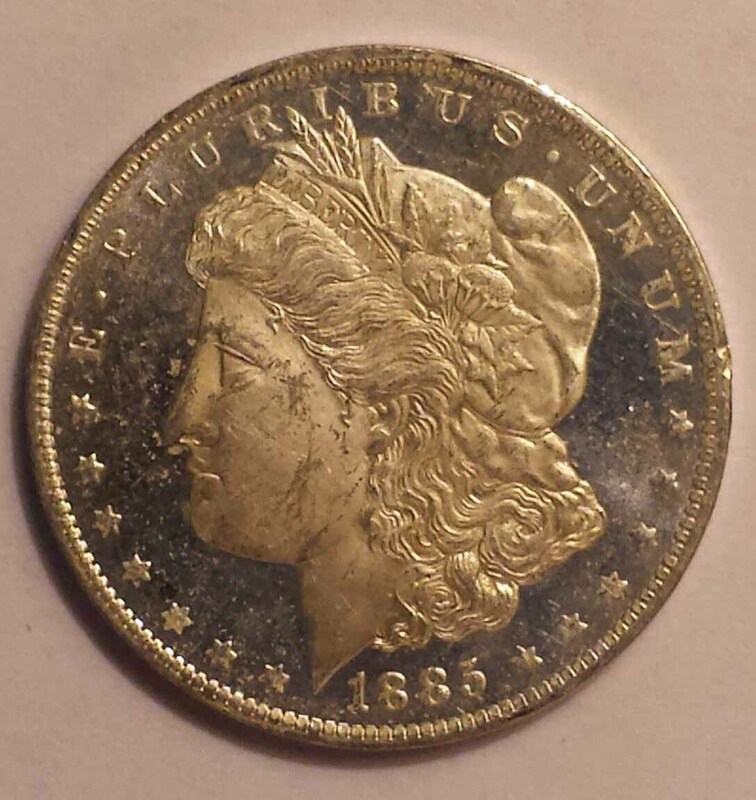 Proxiblog’s Coin and Currency category remains relatively stable with the top 15 or so houses featuring excellent consignments, quality photos and excellent customer service. Back to the Past Collectibles soared into the top 10 by upgrading its photography. We wish one or two other favorite houses at the bottom of our rankings also felt the same way. 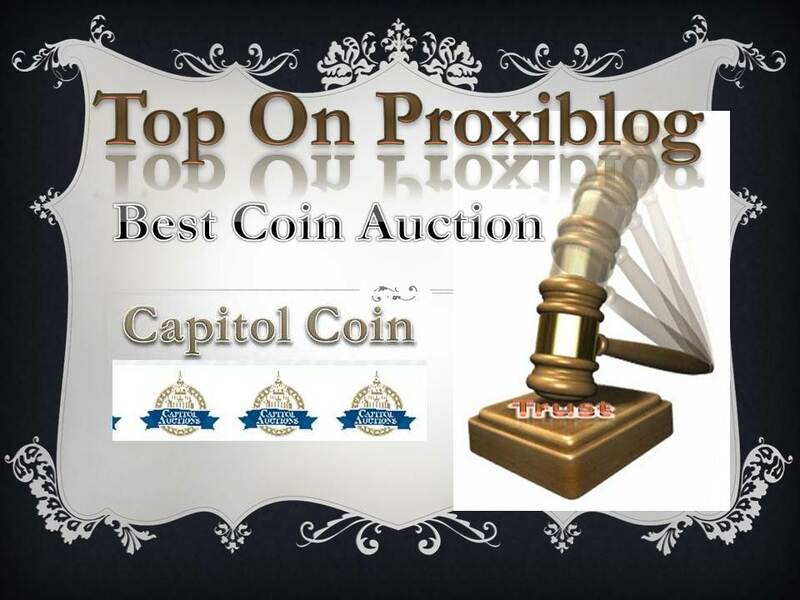 Capitol Coin Auction remains in the top slot. 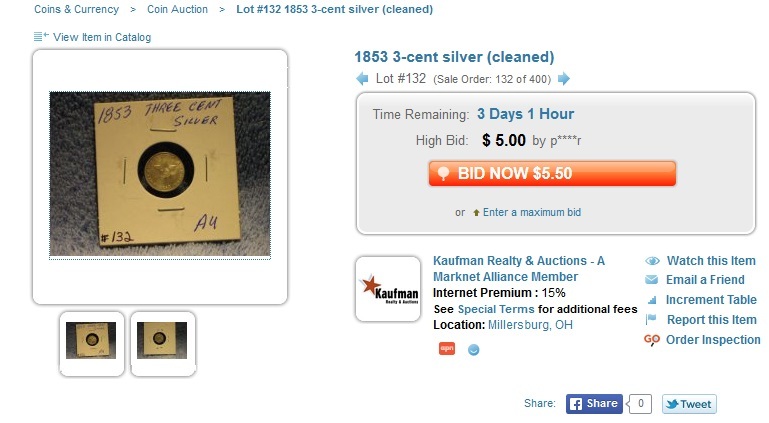 If you bid in its March 1, 2014 auction, you know why. Top lots. 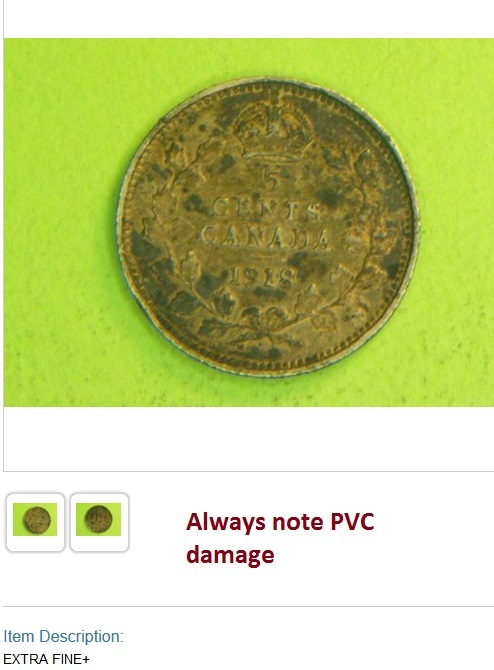 Accurate numismatic descriptions. Sharp photography. Low buyers’ premium. Great customer service. 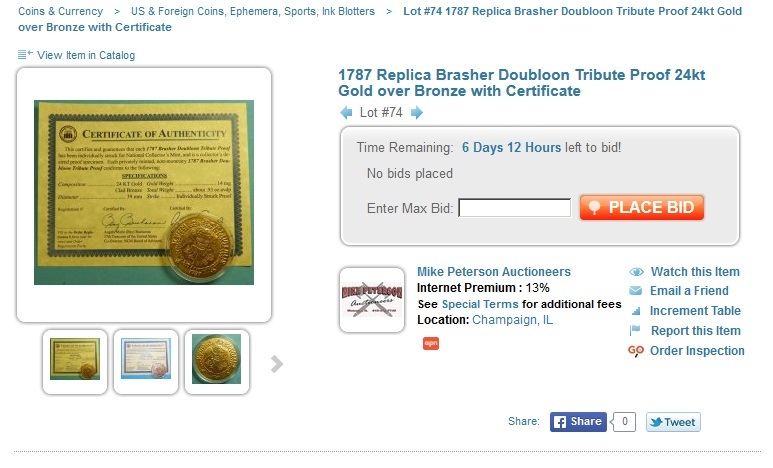 It’s difficult to beat Brad Lisembee who has perfected the online coin trade. SilverTowne Auction continues to amaze us with auction after auction with high standards across the board. Leonard Auction is known for top-quality consistency. Meares Auction consistently improves from consignments to photography. 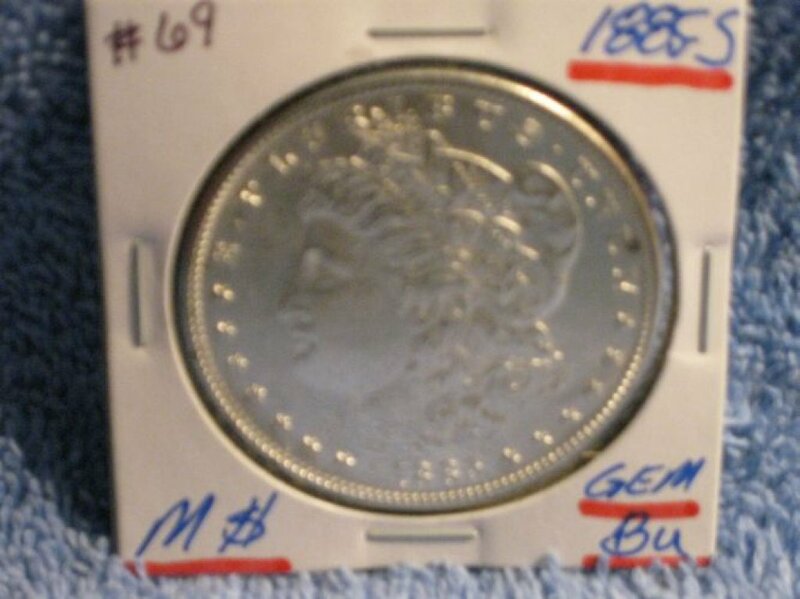 Also holding steady or trading top places with the best coin auctions on the portal are Certified Rare Coin Auctions, Meares Auction, Star Coin and Currency, Southwest Bullion, Western Auction, Weaver Signature Coin and Currency Auction, Gary Ryther Auctioneers, Jewelry Exchange, Fox Valley Coins and Krueger and Krueger. 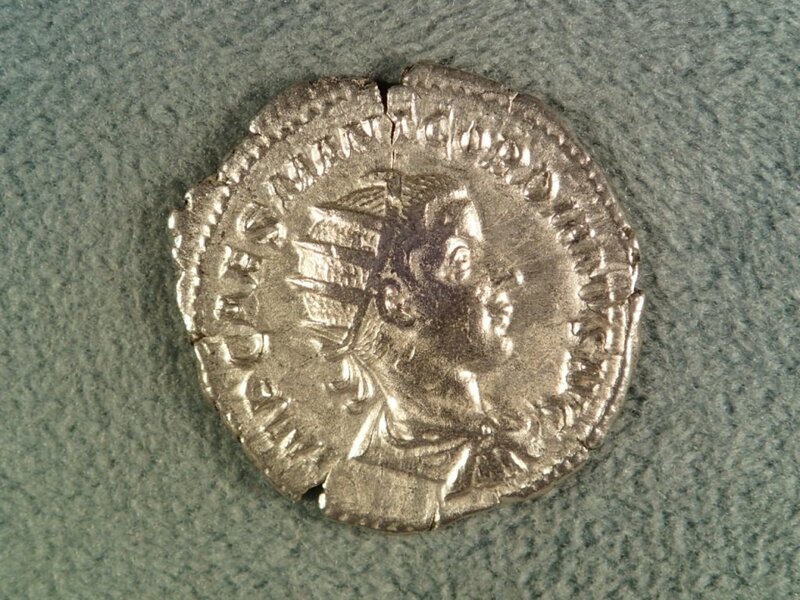 You can even see the metal flow on a 2000-year-old coin. Photography is essential in the online bidding world. Watch for a post about Lovejoy’s enhancements later this week! We hate to call out houses for lack of improvement, even if they are among our favorites. One house in particular has attempted to improve photos but not enough to tell varieties and flaws. If it did, it would be in our top 10. The house does a great marketing job and scores exceptionally high sales because of it. So it may feel no need to improve. 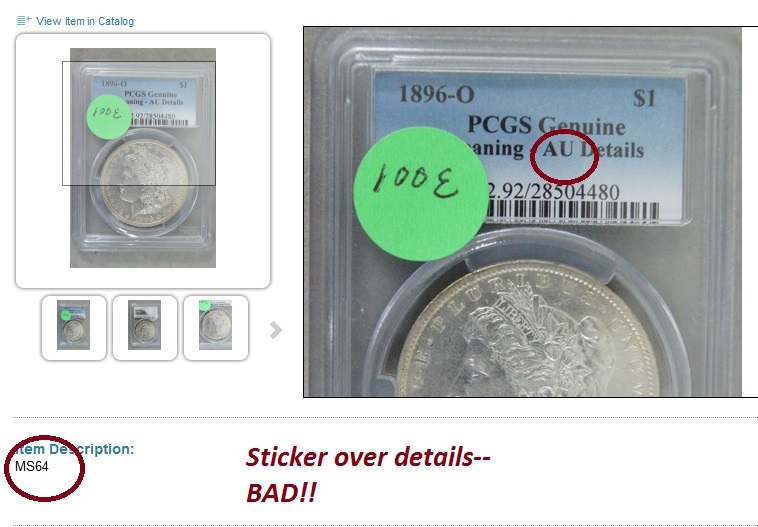 We find ourselves bidding on slabbed coins only because we cannot see which coins are dipped. 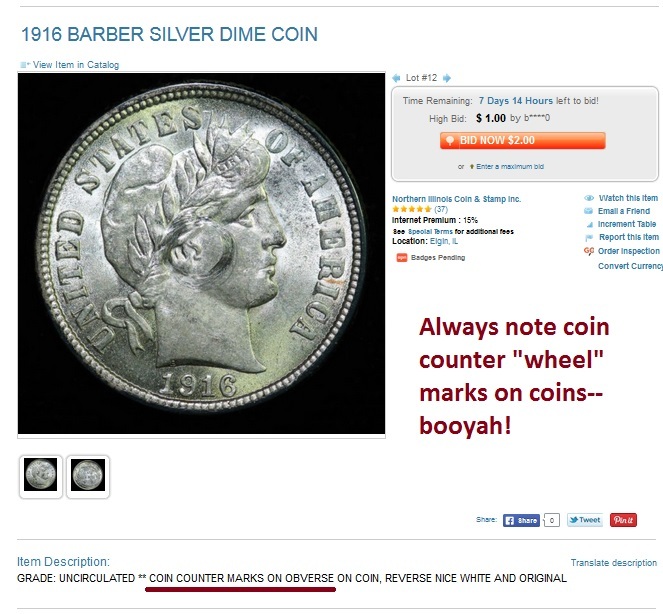 Because we suspect many of the lots are from coin dealers, we are doubly cautious. As for Proxiblog, we have exceeded 600 posts and are approaching 50,000 page views. We’re increasingly global with top views from the USA, Britain, Canada, India, Russia, Germany, Australia and the Philippines. 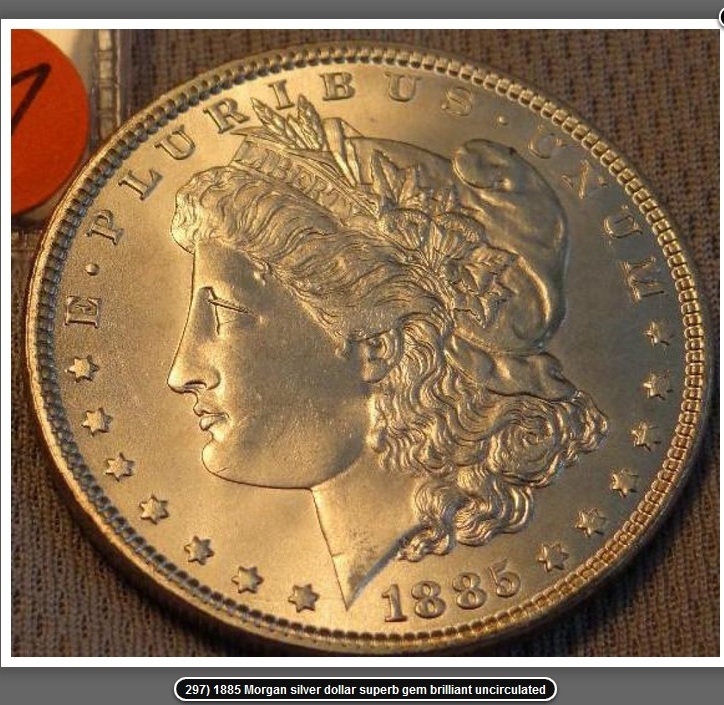 Top view again goes to our post popular post: California Gold, real, replica and fake, closing in on 100 views per week. We continue to provide best practices and numismatic knowledge to our viewers for free. Fortunately, we have several of our top houses donating funds to our scholarship account. You can also buy our Basic Coin Design book on Kindle. We are extremely grateful. Won’t you consider making a tax-deductible donation so that we can continue publishing? Thank you for your consideration! 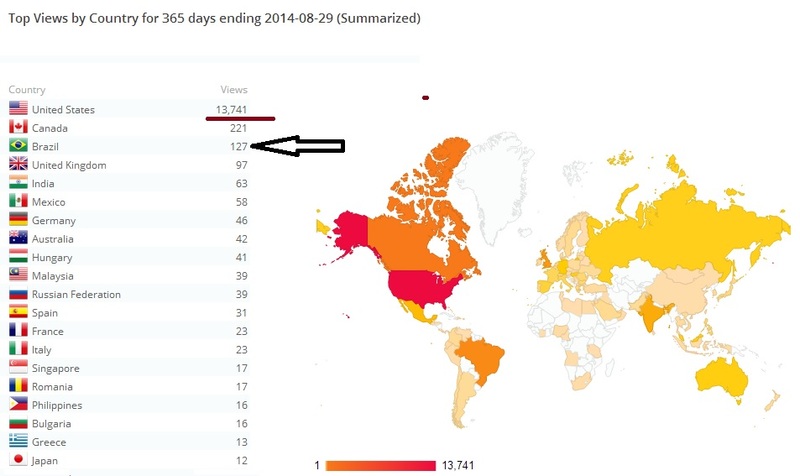 More Than 16,000 Views in 2013! Competition among coin-selling houses on Proxibid continues to be intense with very little difference in services among our top dozen or so houses. 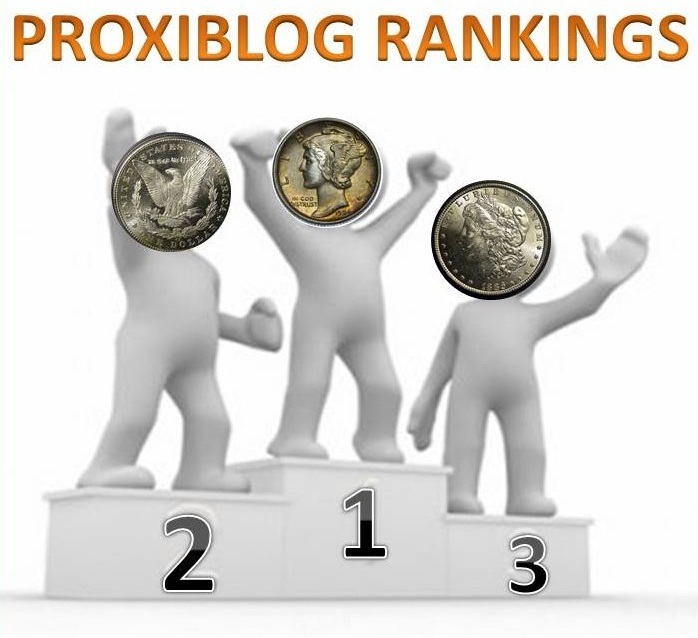 All in our rankings offer quality coins, ship reasonably and post expandable photos of obverse and reverse. 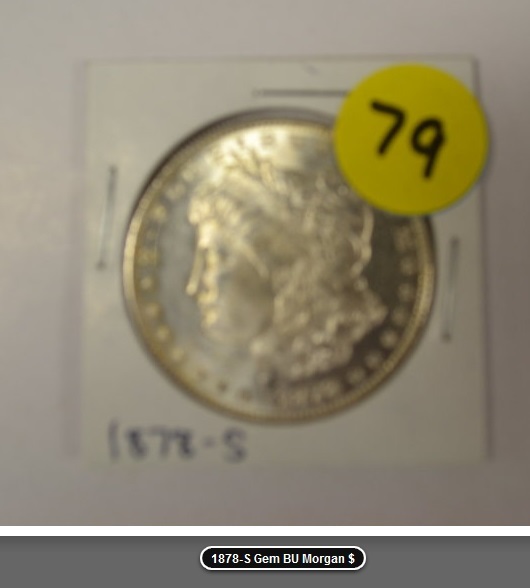 We welcome back K&K Auction Service, which is running coin auctions again. Krueger and Krueger Auction, one of our favorites, no longer sees maximum bids and so appears in our rankings. 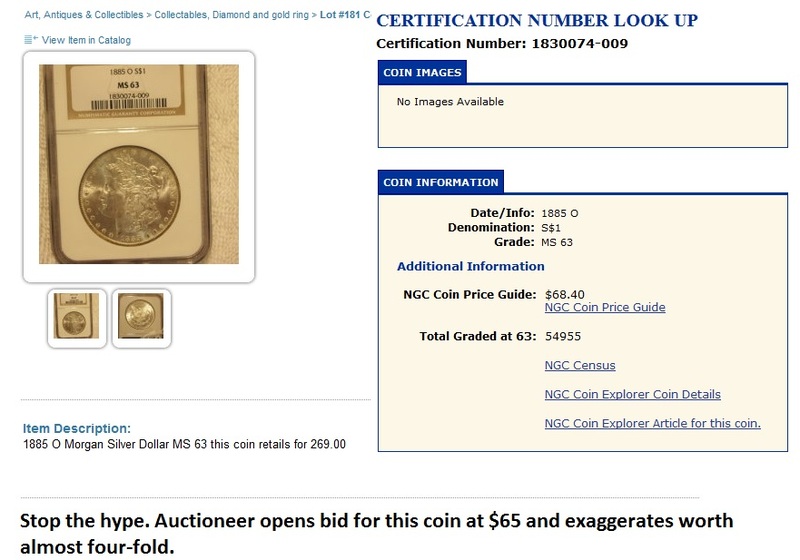 And Certified Rare Coin Auctions makes its first appearance with stunning coins. 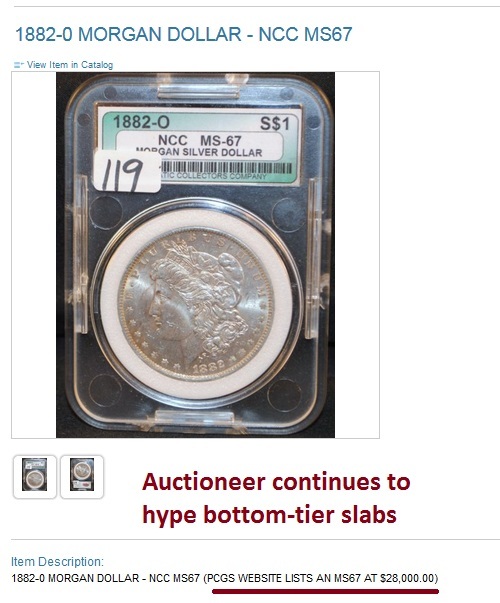 That said, Capitol Coin Auction still leads the pack with detailed lot descriptions, accurate grading, low buyer’s fee, quick shipping and fine numismatic photography and consignments–excellent on all levels. 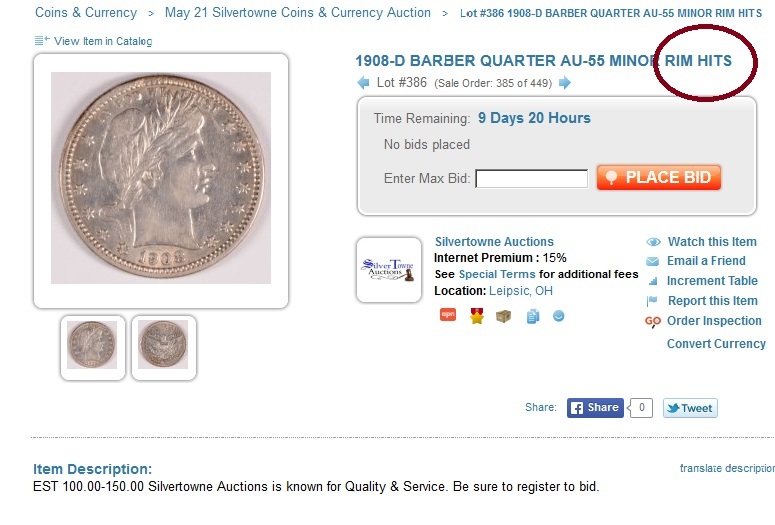 SilverTowne Auctions, Leonard Auction, Weaver Auction, Gary Ryther Auctions, Meares Auction, Star Coin and Currency, and Fox Valley Coins rank among the top 10 in our assessment. 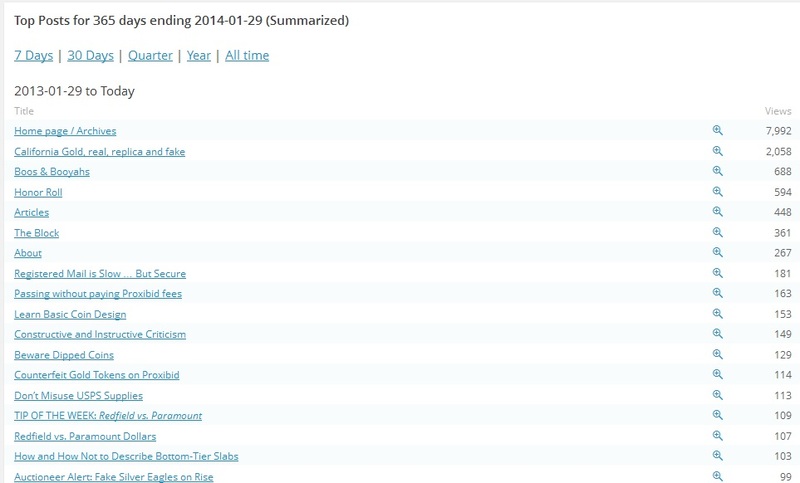 But so many more listed on the right sidebar are offering fine consignments, good customer service and other features. 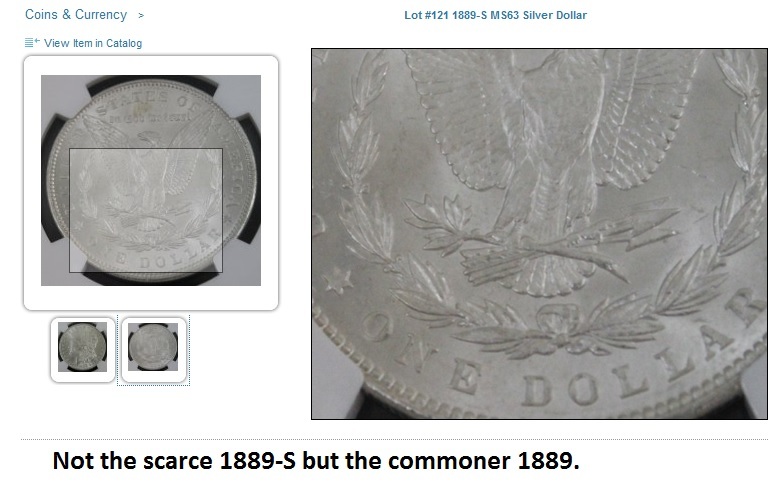 Among the most difficult categories to master, however, are sharp numismatic photography that captures luster and color in addition to accurate lot descriptions about grade and condition. As we always note in our rankings, these are based on our experience and should be considered Proxiblog’s favorite houses. Your experience may differ from ours. 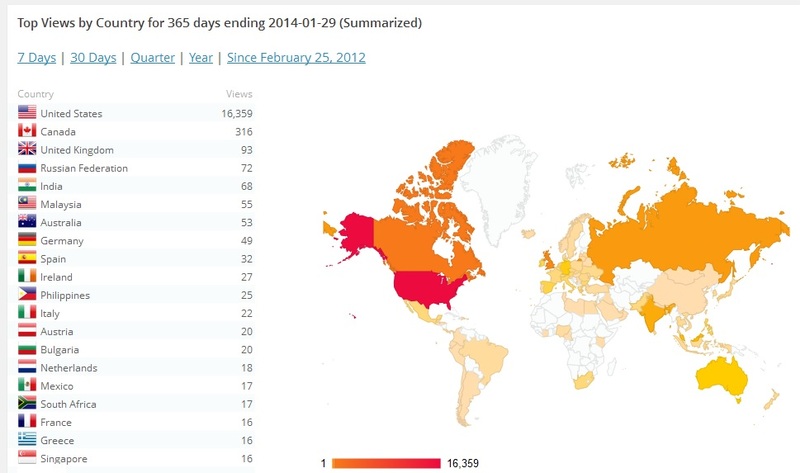 As for Proxiblog, we are pleased that our viewership keeps improving, with more than 16,500 views worldwide in 2013. 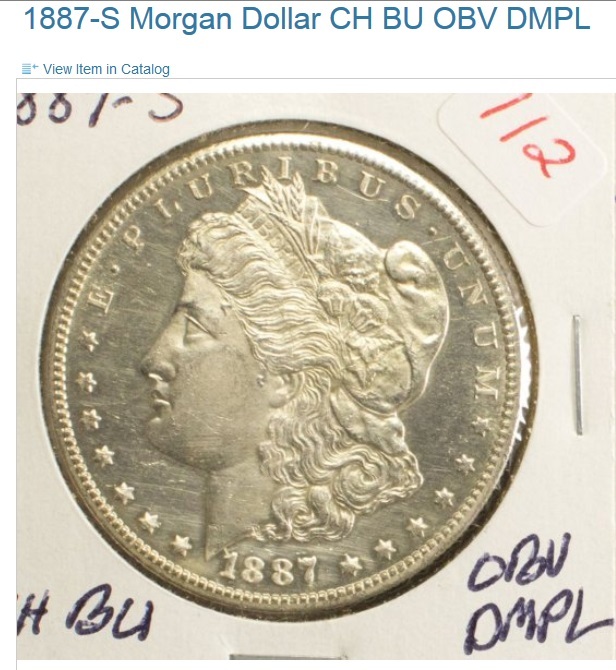 We provide this blog for free to raise scholarship money via our online account with the Iowa State Foundation and via our numismatic work, Basic Coin Design, on Amazon Kindle. 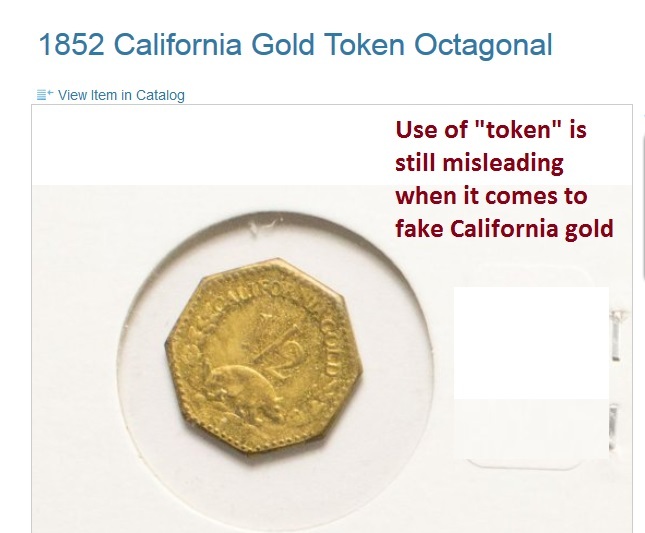 As for individual posts, the most accessed article remains “California Gold: Real, Replica and Fake,” which enjoyed 2058 views in 2013. Value-added considerations are found mostly in terms of service, which every buyer should read before placing a bid in a Proxibid Auction. Capitol Coin Auction’s terms of service are among the fairest on the portal. We know. We patronize Brad Lisembee’s sessions and have dealt with him for years, mainly because of his standards. 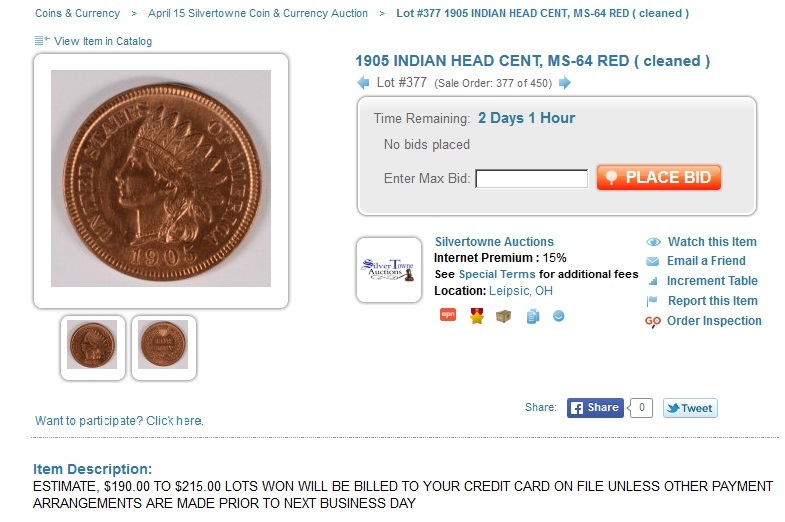 We strongly encourage any coin buyer to read terms of service before placing any bid in a Proxibid auction. Bidders and auctioneers alike should read the Unified User Agreement. 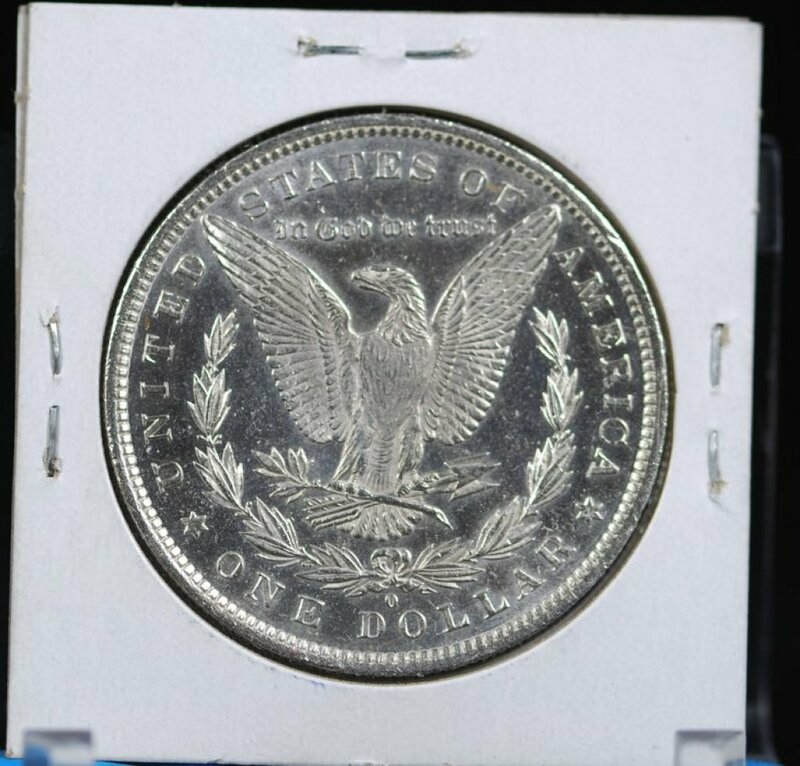 Contrary to what some auctioneers believe, all sales of coins are NOT final if they are counterfeit. If, within a reasonable amount of time, Buyer gives notice in writing to Seller that the lot so sold is a counterfeit and after such notice the Buyer returns the lot to Seller in the same condition as when sold, and establishes to the satisfaction of Seller that the returned lot is in fact a counterfeit, Seller as agent for the consignor will rescind the sale and refund the purchase price. Capitol Coin Auction, and honorable mention houses listed here, abide by clauses of that agreement. Here are a few excerpts from their terms of service. 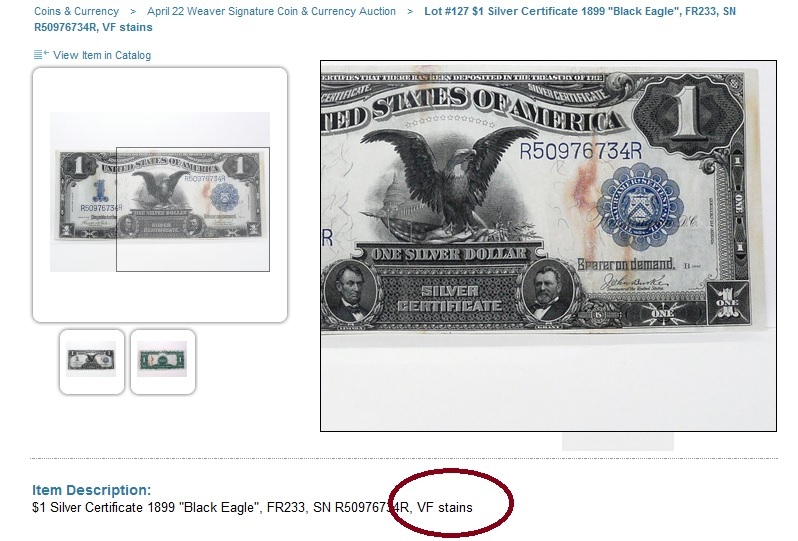 Sales are final with no returns except for reason of authenticity (proof of non-authenticity is required by PCGS or NGC). … We go to great efforts to ensure that all lots are described accurately and thoroughly, and that detailed photos are provided to assist our bidders. We strictly safeguard access to your information, and all of our employees and contractors have been trained on safeguarding measures and the importance of confidentiality of our customers’ personal information. Personal information that has been collected about you will be safeguarded by us and will be destroyed if not needed. We will NEVER sell, disclose or otherwise provide any of your personal information to third parties, except as required by law. Written descriptions of all items are true to our knowledge. 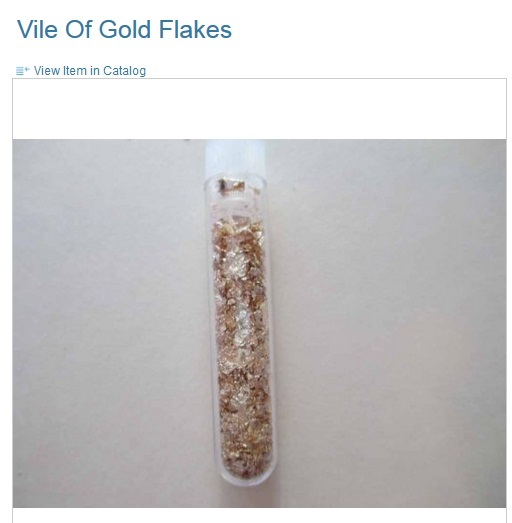 Material identified as gold, silver or platinum is guaranteed to be the material described. Gemstones, including diamonds, are guaranteed to be authentic. Branded merchandise is guaranteed to be authentic. When any item is graded, every attempt is made to grade conservatively. … We will do our best to address any question or concern that arises. 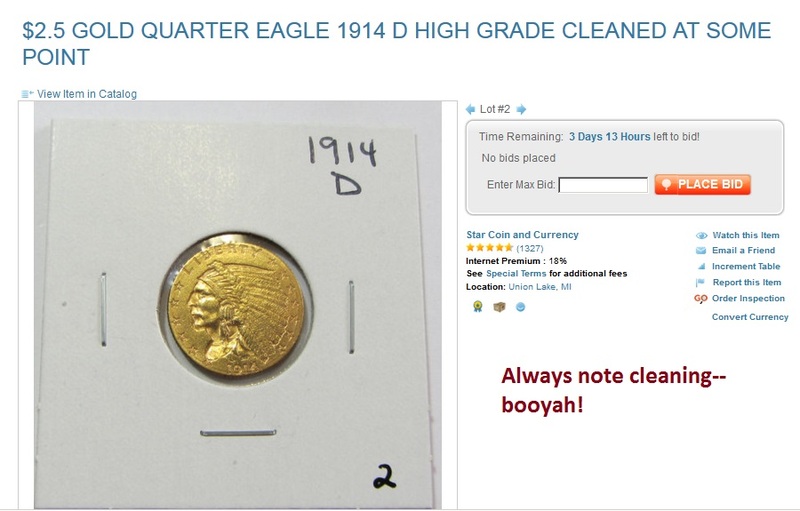 REFUND POLICY (Coin & Currency Lots): Leonard Auction, Inc. guarantees all items to be genuine (authentic) as to date and mintmark. If a successful bidder has questions as to the authenticity of a lot, the bidder must contact Leonard Auction, Inc. within three (3) calendar days of receipt of the lot. 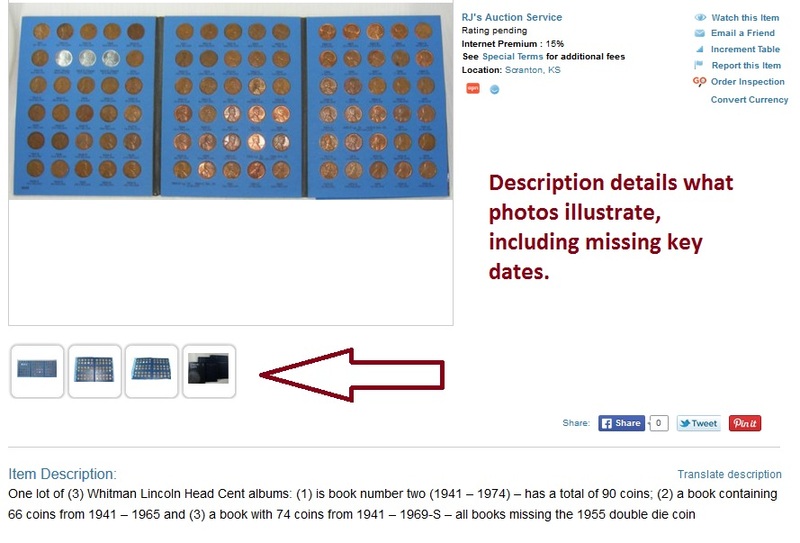 Items removed from their original, heat-sealed Leonard Auction, Inc. holder, MAY NOT BE RETURNED for any reason. 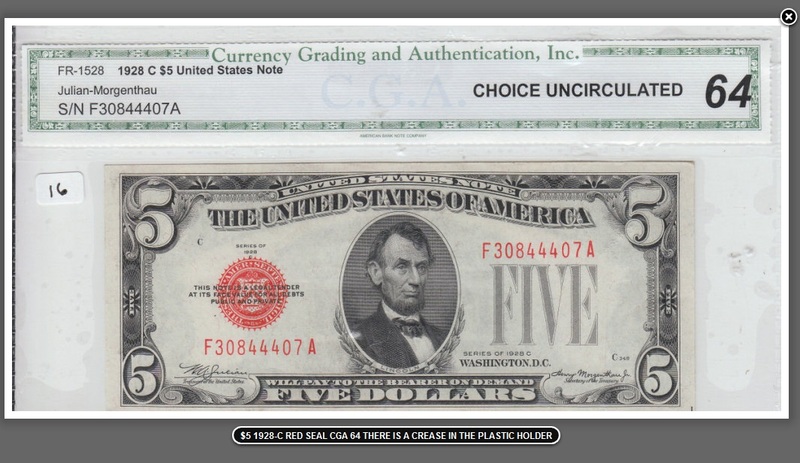 No lot may be returned because of a variance in opinion with regards to Items encapsulated and authenticated by a third-party grading service MAY NOT BE RETURNED for any reason. Internet buyers are entitled to a return within 3 days of receipt of items. In order to return an item, we must be notified of your intent to return within that 3-day period. We can be reached at 419-943-2612. Items returned will be shipped at buyer’s expense. All returns are subject to a restocking fee of 15% of the purchase price with a minimum charge of $10. Our auction house has chosen not to view or have access to bidder maximum pre-bids. We also do not allow or bid on lots to increase amounts. 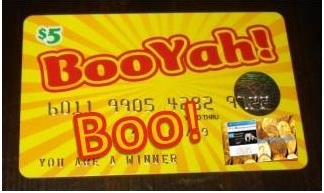 All our auctions are $1 start, absolute, no reserve auctions. All items sell to the highest bidder. Return policy: If an item is not materially the same as pictured and/or described in the auction contact us. We are here to make your auction experience a positive one. Privacy: Any personal data we collect is used solely for processing an invoice. Tiered Buyer Premium: 5% Gold $20 or other 1 oz Gold 12% Total Hammer Price $2500.00 or higher 13% Total Hammer Price $1500.00-2499.00 14% Total Hammer Price $500.00-1499.00 15% Total Hammer Price Under $500.00. 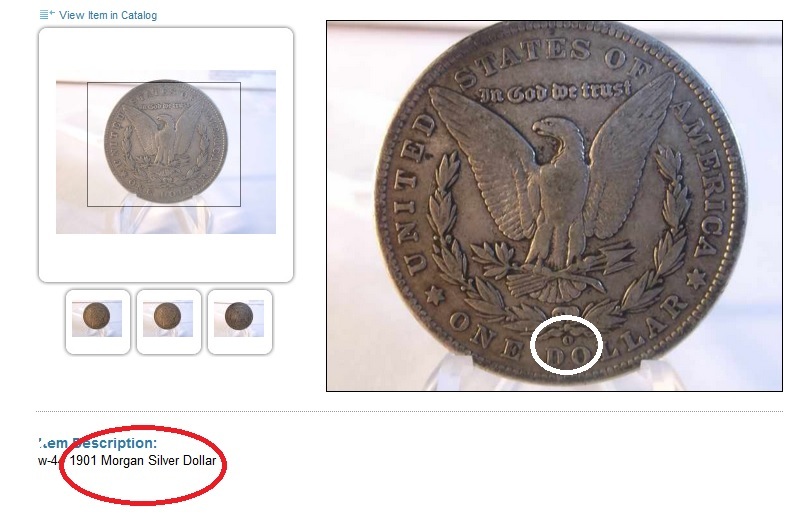 … Items are sold “AS IS”, “WHERE IS” with no guarantees of any kind except for the authenticity of US coins. We will accept returns on counterfeit coins (which we never intend to sell without identifying as a copy) or if we made an error in denomination description. Return requests must be made within 5 days of receipt of the coins. 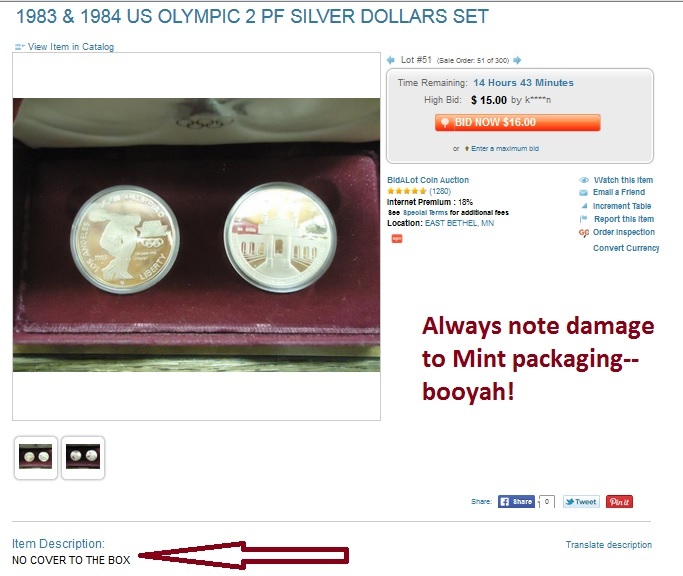 Any coin removed from the original packaging or holder is considered sold & may not be returned. 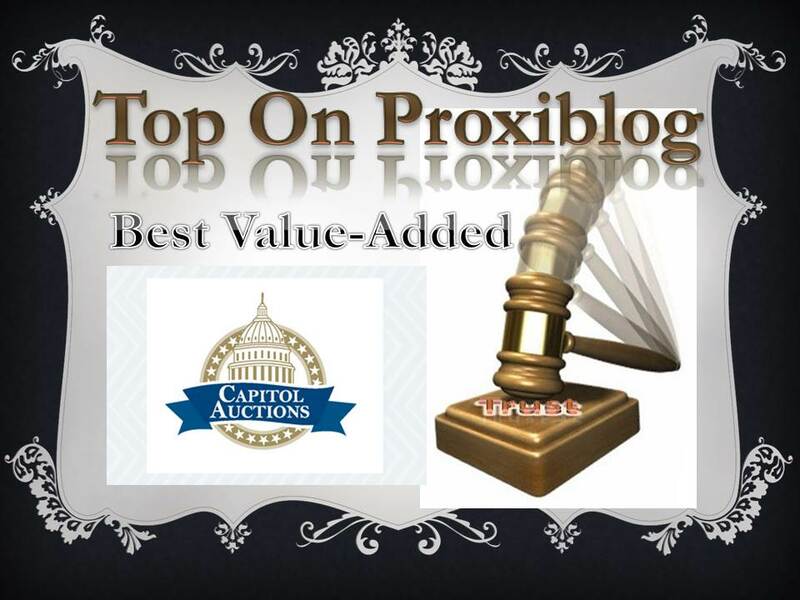 We congratulate Capitol Coin Auction and our Honorable Mention houses for their emphasis on customer service as expressly noted in their service terms.